Forget about thin flip flops. Sometimes you need something more foot-friendly and substantial. 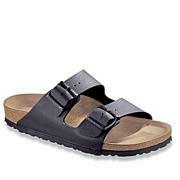 These thong health sandals provide a contoured surface with arch support and a gel-cushioned footbed for ultimate comfort. Lightweight and waterproof, they're great to travel with, are perfect for the beach, and make a sporty fashion statement with shorts and athleisure wear. 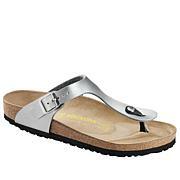 they are so good and comfi and i do walk everywhere, they are the best. Very cute , I love them!! Comfortable. Love them. Buy them as needed. Good price. 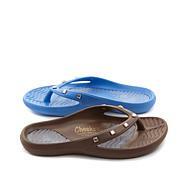 I have several pairs of these sandals, and love them all! They are so comfortable, and can be worn all day. No more flat flip flops for me! I love how these sandals clean up easily, and I also like all the fun colors. Thanks, Tony, for a great product!